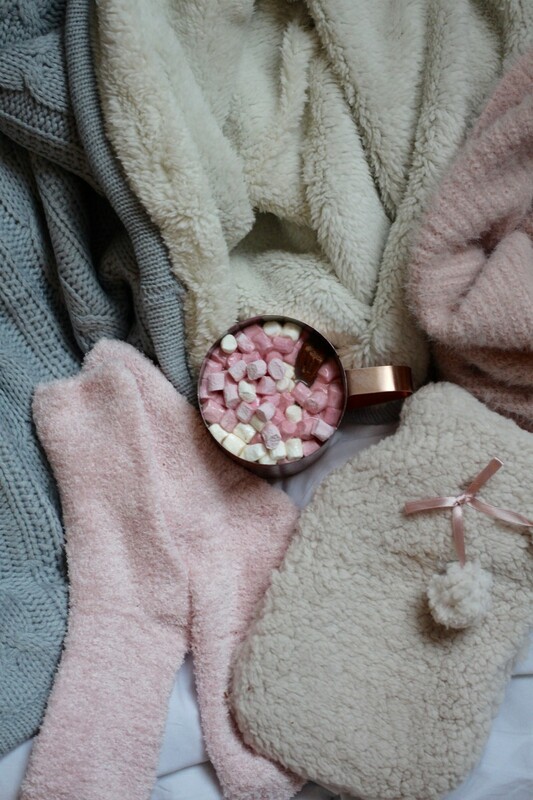 Winter is the ultimate season for all things cosy – fluffy socks, hot water bottles, massive throws and all the hot chocolate in the world. 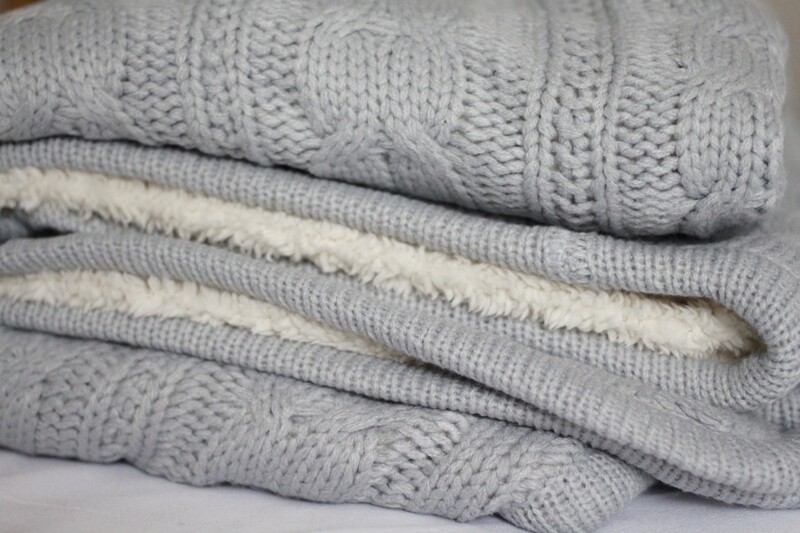 There’s nothing better than having a good snuggle in the warmth, watching a movie, reading a book or having a general natter with friends and I am all about that life. 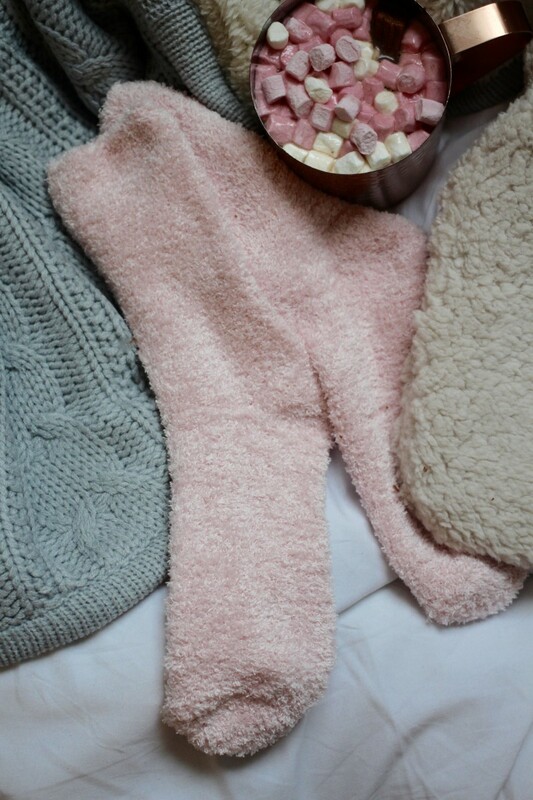 Every year, I have a few of my favourite cosy things that I dig out or purchase new to last me through the whole of winter and this year, I’ve gone for a theme, greys, pinks and copper, because you know it’s all for those Instagram pics and that, haa! My newest throw is from Rooi and just look how snuggly it is! 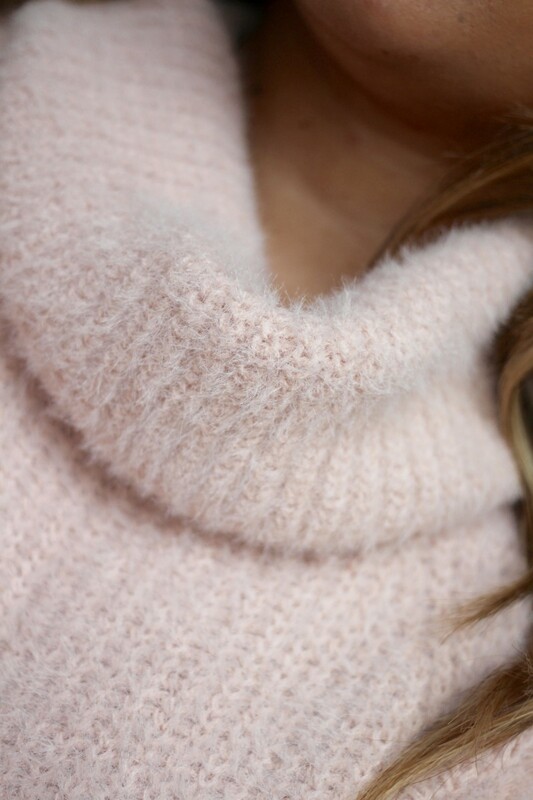 The knitted top with full fleece lining is just perfect for cocooning in. 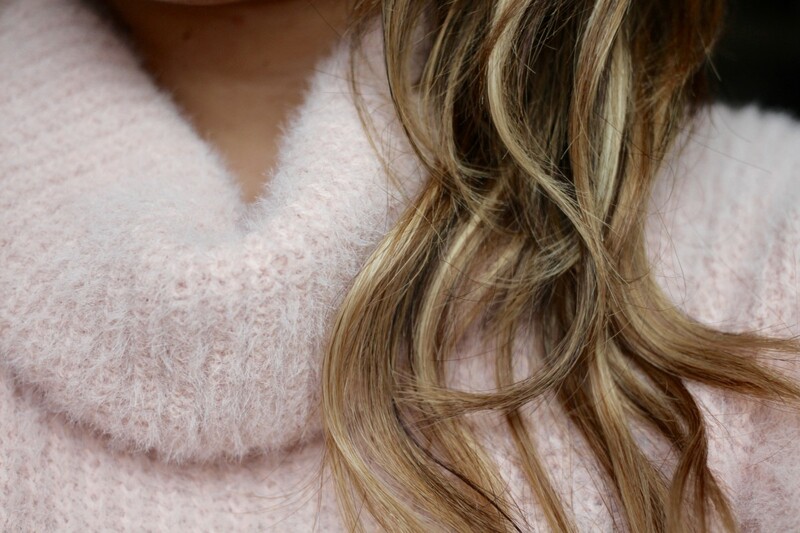 Chunky knitted jumpers are my life at the moment and I have found some amazing ones in Primark this year, this pink fluffy one is just all ‘heart eyes emoji x 100’. 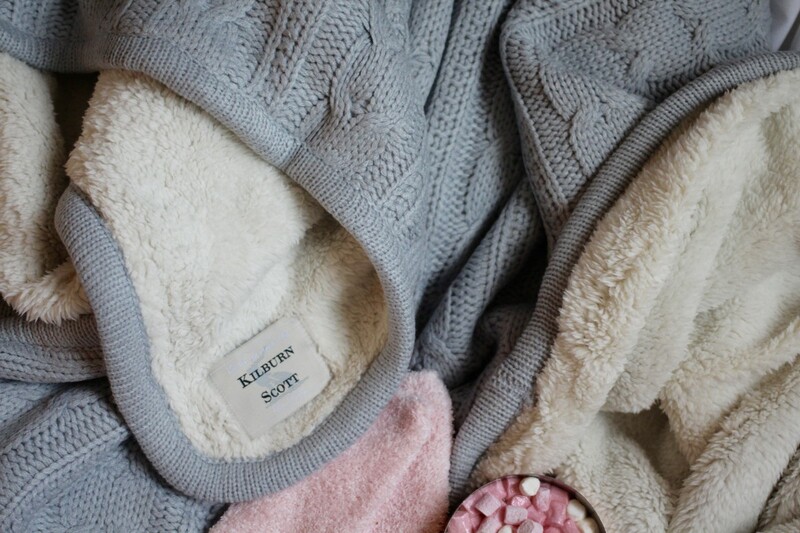 Matching coloured cosy socks obviously come in to the mix and I love the look and feel of the The White Company cashmere ones, but they are way too expensive for just one pair of socks, so these New Look ones will do. 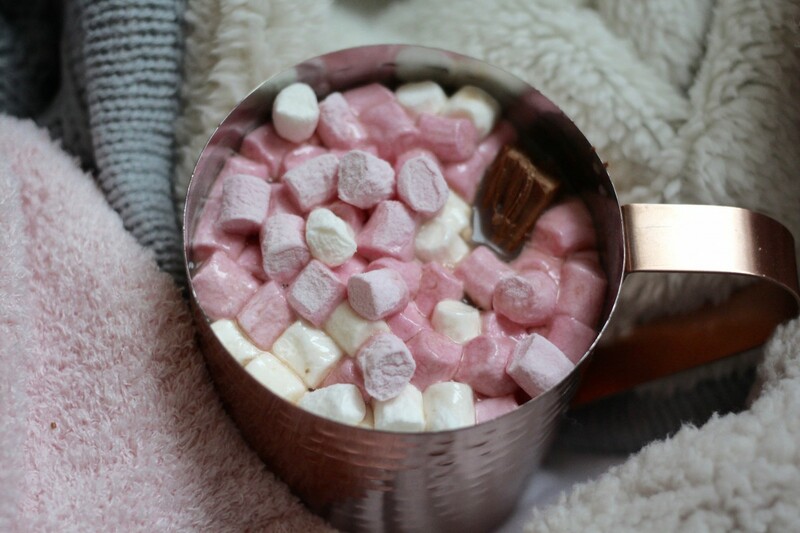 Hot chocolate with all the cream and all the marshmallows, yes purrrlease and it tastes so much better in a copper mug, very wintery indeed. 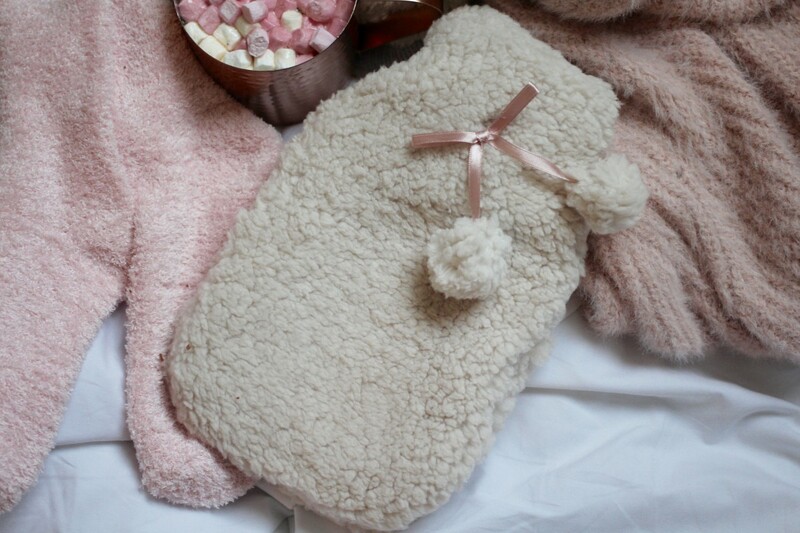 Lastly, hot water bottles are just perfect for all round warmth and cosiness, so this cute little New Look one is here to stay for a long time. 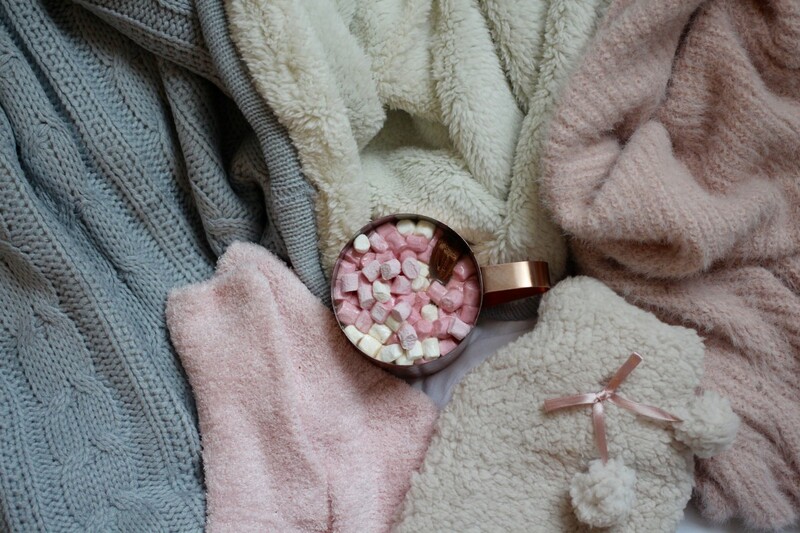 Do have any winter cosy favourites? 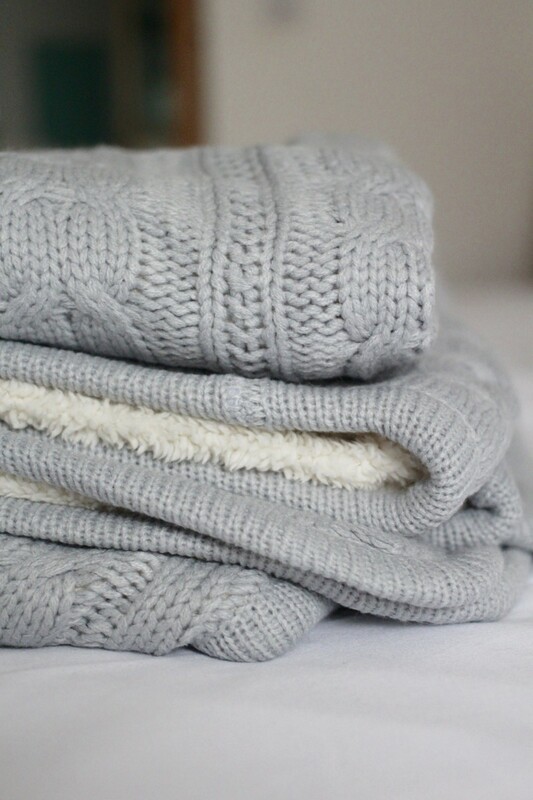 These pictures are enough for me to run home to bed, they look so cosy!